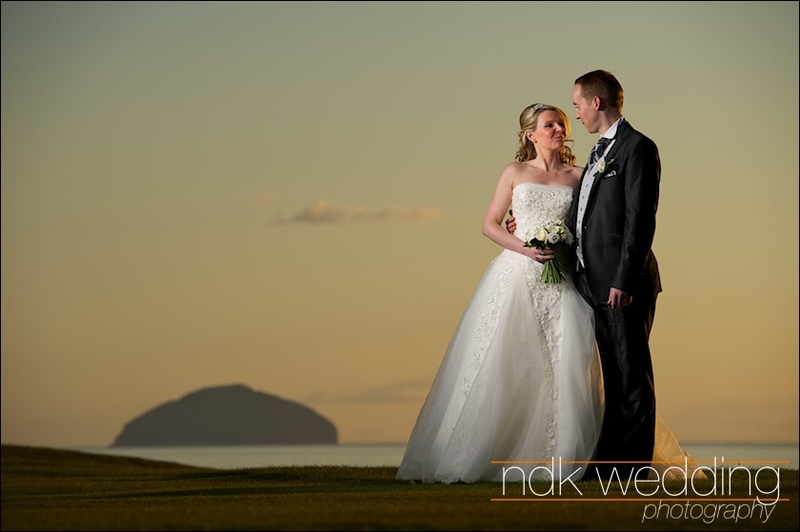 A very quick post this morning from yesterdays wedding at Turnberry Hotel, the weather gods were shining on us as the bad weather from last week had blown through and left us with lovely warm sun shine all day. Glorious. These are a two portraits pictures I created down on the golf course around 8pm with Turnberry Lighthouse and Ailsa Craig in the background. 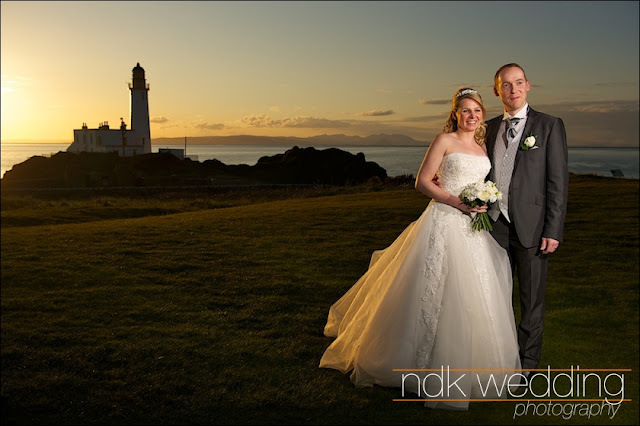 The light was nice, very relaxed bride and groom, add some flash = some cool photographs. Right pack my bags again, off to Crieff Hydro in Perthshire for todays wedding..